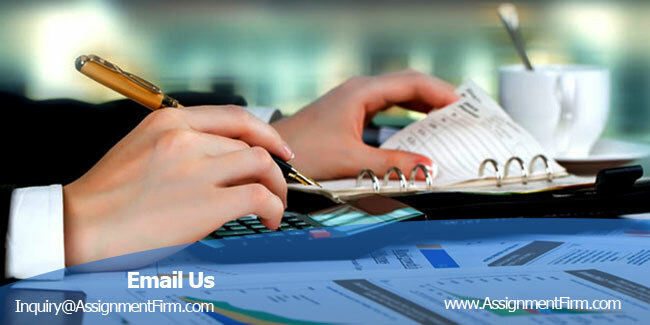 Accounting systems are the ways related to handling of money. So, naturally this custom dates back to ancient days when the concept of money was first introduced. From that period, the systems of accounting have been different in different countries. As the conception of international trade was not developed then, one accounting system did not have the scope to influence other accountings methods. But with the introduction of global trade one country got to know about the methods of other countries with which it had trade relations. This opened the path for the countries to adopt the other existing account systems. Then the countries came to know about the drawbacks of their own methods and with this understanding, they started adopting the other ones which were more convenient, easy and useful for them. The differences in accounting methods were largely due to the cultures and religions of which were largely varied in respect of national boundaries and sometimes within a country. The examples of two important religions Christianity and Islam are helpful to understand this view. As church was primarily concerned with the financial responsibility, it played a significant role in setting the financial accounting methods and these were moulded by Christian religious beliefs. Unlike the Christian view, in Islamic laws, this systems should be made with the accountability to society and not to individuals. But today world is a global village. Trade is not limited within the barriers of nations anymore. So, the need of a proper standardisation of accounting systems is felt throughout the world. IFRS which were primarily known as IAS were primarily introduced in the European Union. But due to the success and popularity of this, many countries adopted this. The harmonisation or convergence of the International Accounting Standards with International Financial Reporting Standards (IFRS) has been a controversial issue from a long time. But this phenomenon of convergence is observed to be moving ahead fast in the world (Wai-Meng et al. 2011, p. 3588-3596). It minimises the divergence among the regulations of various states. Simplified actions in regards to the financial reporting aspects are conducted through the harmonisation process of the accounting system. This is done in order to make the different accounting institutions to act in compliance with the various relevant accounting standards and laws. Harmonisation process is defined as an opposite phenomenon to diversity and variation by some researchers that led to the higher degree of compare for financial reporting. Harmonisation is also considered to be contrasting with the standardisation technique due to its practical nature and pattern of achieving harmony (Fuertes, 2008, p. 678). The authors Chand and White pointed out the distinguishing characteristics of harmonisation from convergence with the IFRS adoption measure. The main focus of the organisations regulating this sector of is suggested not be the harmonising actions and practices because the national identity of a country is affected in terms of this regulations. The globalisation is defined as a process leading to the process expansion and communications across national boundaries. The international companies have changed the government authorities to promote economic and social policies. These organisations are regulated by the International Accounting Standard Board (IASB). The IASB is vested with the responsibility of developing the IFRS such that it is simple to adopt and execute by the countries all over the world. The prime goal of formulating and spreading IFRS is to minimise the distinguishing characteristics of the national accounting practices (PricewaterhouseCoopers, 2008, p.1-11). It is stated by Chand and White that due to the vast range of social, cultural, economic and institutional traits prevailing in the various countries it cannot be expected that such an IFRS rule can be formulated that can consider the different aspects of all the countries around the world. Hence it is correctly presumed that the single IFRS rule cannot be fully efficient to be able to address and handle all the financial requirements of all the societies. A study with stress on the annual reports’ analysis revealed that the step structured by the law within regulations does not always interfere with the practices prevailing in the organisations (Davila & Oyon, 2008, p. 887-893). Analysing the impacts of international accounting harmonisation process is found to be a unique step that can be taken, although obstacles and limitations of the harmonisation process prevail. The degree to which firms execute accounting actions is determined during the measurement of the harmonisation process. This kind of measurement is facilitated by statistical measures as Herfindahl H Index and C Index and I Index specifically for the harmonisation disclosure measurement (Carnegie & Napier, 2012, p. 328-369). These calculations provide evidence for the realistic harmonisation aims of the processes. The IFRS adoption affects the accounting process harmonisation measured by the degree of the various organisations of a country using identical methods for reporting the intangible assets. The development of this sector on national and international level is observed to be brought about by the calculating material harmonisation of various organisations and analysing the relevant accounting policies to set the harmonisation degree for a specific tangible asset. Australia was the first country to adopt the IFRS in compliance with the financial year of 2005-06. A great mass controversy is provoked by this decision in Australia, along with a common agreement of the different groups and communities regarding the impact of IFRS adoption on the entities of Australia and their financial outcomes and quality of the accounts. The chief reason behind this effect is the transformations that IFRS adoption has on the prevailing Standards of Australia and reporting procedures as per need (Pilcher & Dean, 2009, p.180-196). The financial performance reporting procedure of the various Australian entities are supposed to undergo major modifications and due to the transformations in its accounting standards. There was a lack of information to the local government of Australia about the effects of implementing the necessary changes in financial reporting techniques with the introduction of IFRS. A study reveals the IFRS process execution by the local councils to be very much expensive and time consuming as compared to the benefits in adopting the IFRS standards by the various sectors including the local governments as well. Researchers have conducted surveys regarding the expenses and advantages acquired by adopting IFRS in the different firms and organisations depending upon the retrospective reconciliations of the Australian Accounting Standards and IFRS. An increase in the total liabilities and decrease in the equity and surpluses is observed in more organisations (Goodwin, Ahmed & Heaney, 2008, p.89-119). IFRS is seen to have a positive influence on the profit after tax and market value of the small and medium firms but a negative influence on the big firm is encountered. The involvement of IFRS standards to develop organisational processes for transformations is found to be beneficial through studies. But this is just the opposite for the smaller organisations as they are still not ready for the IFRS adoption and the organisations’ transformational process due to which they face hindrance in their normal functioning and leading to a rise in their expenses and time taken by them. The IFRS adoption is found to be affecting issues like property plan and equipment (PPE), intangible assets, depreciation, unrecognised assets, share of profit/loses, surplus, long-term, short term liabilities, interest and expenses (Pervan, 2012, p. 165-171). The IFRS standard is observed to be sector neutral through its way of adoption in Australia. The entities of the public and private sector are seen to be differing in ownership and objectives of the companies. The three-tier government pattern of the Australian public sector is seen to be maintaining their accounts on the basis of cash. The AASB is required to consider particular rules in the form of guidelines and extra notes provided for the adoption of IFRS standards. Among the aims of IFRS adoption fall the significant motives of eradicating the process of duplication in the accounting standards, incorporation and integration of the Government Financial Statistics (GFS), the comparison of the IFRS standards with the standards prevailing currently in the accounting system of the country, and the generation of specific guidance. Since the local governments bears social goals and complicated arrangements and dominance of infrastructural assets so complexities are encountered in adopting IFRS standards into them. The Hofstede-Gray theory is based on the Hofstede’s cultural dimensions that he deduced from the study of 100,000 employees from 50 different countries and 3 regions to get a clear picture of differentiation and rating of the culture variation in accounting standards (Hofstede, Hofstede & Minkov, 2010, p. 678). This theory consists of the five dimensions such as Individualist-collectivist, Uncertainty avoidance, Power distance, Masculinity-Feminity and short term- long term. The first dimension considers the public’s definition of themselves and their relationship with others and determines whether an individualistic approach or a collectivist approach is followed. The second dimension determines the level of uncertainty avoidance as high or low. The third dimension recognises the acceptance of inequality as a normal phenomenon based on high or low power distance. The fourth dimension deals with gender respective relationship or behaviour prevailing. The fifth dimension which is added later is determines Confucianism based on a long term or short term orientation. A sixth dimension is also added as the indulgence-restraint concept that determines the social criteria based on the level of gratification towards enjoying life. Gray decided to work to explore the relationship by deriving four values from numerous literatures and then he related them to Hofstede’s cultural dimensions. Presently, the correlating values of Hofstede and Gray. Gray’s first value is related to professional verses statutory control. This idea is very essential to process; because, it is the job of an accountant to make independent legal and ethical decisions in almost every practice. Gray’s second value is related to uniformity verses flexibility (Chand & White, 2007, p. 605-622). Conservatism versus Optimism is the third value of Gray while Secrecy versus transparency is the last or final value of Gray. This research of Gray creates the foundation for many tests and studies that help to understand the impact of culture on various this systems. The Gray’s theory is directly linked to the Hofstede’s model due to similarity. It also comprises of four dimensions as professional or statutory control, uniformity-flexibility, conservation-optimism and secrecy-transparency. Thus the combination of Hofstede’s cultural values and Gray’s accounting values forms the base for the Hofstede-Gray theory that together determines the cultural, legal and religious influences on the accounting standards (Heidhues & Patel, 2011, p. 273-287). The Information from the Baydoun and Willet’s point of view of the Hofstede-Gray theory states a relationship between the six cultural dimension of Hofstede’s model and links it to the four accounting values of the Gray’s theory. A striking link is found to be exixting between certain points of concepts while the relationships between some points are left undetermined. Based on these findings a table is generated that gives a clear view of the Hofstede-Gray theory (Ahmed & Alam. 2012, p. 109-120). The Hofstede-Gray theory thus described is helpful to a great extent to provide information and determine the cultural differences and their effects on the financial accounting standards. It also points out the obstacles to get the inferences on Hofstede-Gray framework due to the import of many different approaches already being adopted from different countries (Graham & Neu, 2008, pp. 449-471). The effects of cultural differences on the accounting standards can be determined by this model. This theory also helps in explaining the international differences in accounting systems. It brings forth the fact that accounting is a social institution that can be determined by culture and influenced by the variation in culture as well. The view points of Baydoun and Willett can be agreed upon as it has been recently found that a lack of correct systems is evident in the developing countries. The accounting systems are observed to be less useful and relevant to the countries as they are structured based on the information on the different cultural values collected from other western countries rather than the specific country only. There is no clear indication of whether the differences considered deciding the accounting system is differences between usre requirements in terms of kind variation or in terms of degree variation. The country specific disclosure rules are different in different western countries, this account for the failure of the accounting system. The theoretical and methodological limitations of the hofstede-gray framework are also another reason for supporting the viewpoint of Baydoun and Willett. This model or theory also fails to describe various accounting models (www.researchonline.mq.edu.au, 2014). The works of Gray is found to argue that international differences in accounting systems and types of development in accounting internationally can be determined by a methodological framework implementing cultures. The works of Hofstede’s model recognises structural culture elements that strongly influence the workplace habits and culture. The first four dimensions of Hofstede’s model are considered to be the representative of a common structure of the organisational cultural systems. The scores generated on the four dimensions groups countries into culture areas. Gray has formed the four concepts of his theory on the accounting values. The social values of the accountants are considered are expected to influence the accounting system nationally. The International Accounting Standard Board (IASB) is seen to adopt an approach of developing accounting system in a standardised way (Deegan & Unerman, 2012, pp. 256). The possibility of a relationship between the value systems and accounting systems is found to be confounded by the events as stated by Baydoun and Willet that if accounting systems are originated independently in the developing countries their form will be much different than that existing now. Since Gray never tested the hypothesis linking with the Hofstede’s model so a suggestion for an empirical test to support the framework is provided. This gives a test of the relationship of Hofstede’s cultural dimensions and Gray’s accounting value dimensions (Lim et al 2012, p. 2226-8235). The combination of the various cultures study detail has led to the mixing of information that are not purely relevant to any particular country. As a result when this model is applied to a country produces false outcomes. A country where profit and success are expected by this model is seen to incur loss. Thus the authors Baydoun and Willett are observed to be right in their statement of the drawbacks and failures of the Hofstede-Gray theory (Borker, 2014, Pp. 1 – 12). Another article states the importance of the Hofstede’s model and Gray’s theory for determining the cultural influence on the international accounting practices. It states that the first two dimensions of Hofstede’s model connects with the authority and accounting practice enforcement at country level while the next two dimensions connects deals with the accounting information measurement and disclosure. The Hofstede-Gray’s model provides evidence that the development of the accounting systems and financial reporting systems at country level is directly affected by the cultural factors taken into consideration by the model (Albuquerque et al. 2011, p. 527). Religion is such a key factor that influences almost everything in the lives of mankind; starting from birth, a man starts his life with religious rituals. Personal mindset to thoughts of society, religious moulds beliefs and actions (Nobes & Parker, 2004, p.56). Accounting system is not an exception. Religious plays a vital role when a country chooses its system. Two major religions- Christianity and Islam influenced the existing systems. The practice of accounting is a very ancient one. It has been done in both public and private groups for thousands of years. The early churches of England defined money and the ways of handling money as worldly and mundane activities. But with the advent of Protestanism, this view was changed. So, accounting was seen as a sacred duty later in Christianity. Islam plays a role not only as a mere religion but also as culture, worldview and lifestyle on its followers. Unlike the early Christian belief, Muslims believe that everything should be done according to the rules of Quran (Worth, 2012). Since 2005, In Australia and some other countries, this standards issued by The International Accounting Standards Board (IASB) are to be followed. But should different countries have different accounting standards or should they adopt the same accounting system? In both the cases there are some advantages and some disadvantages. It is widely believed that if the existing account practices are harmonised than more efficient and more closely interconnected financial markets will be created and at the same time it will improve the allocation of resources and decrease the cost of transaction. Some authors have argued that practises in some countries go through an evolution in accordance with the circumstances of a certain society, culture, religion etc. This systems which are practised in different countries vary to a great extent. But it has been accepted unanimously that actually there are two main models of accounting. They are- the Anglo- American model and the continental European model. The Anglo- American model follows a system of accounting which is not influenced by the government but by the professional accounting bodies. This model emphasises on the importance of capital markets. On the other hand, the continental European is influenced by the government (Fang, 2007). Various reasons have been suggested by the researchers for the varied differences in the accounting practices in different countries. Some suggest that the differences are due to the differences of laws, the political systems (some political system follow free market system while some others follow centralised market system). The reasons also can be for differences of the economic development. The reasons like tax systems, level of education also have been suggested. But there is lack of any single and clear theory which can be used in understanding the reasons of international differences in systems (Oluku &Ojeka, 2011). Religion is one among the many proposed reasons. Religion and culture are interconnected to some extent. Culture is a very big concept that covers many aspects. Culture based research tend to countries being grouped together in terms of both community and accounting subculture. According to some authors, it provides guidance in the process of harmonisation. It also has some limits as it is based on native characteristics which are limited within the boundaries of particular countries. But the works of some authors of subsequent origin opine that this view does not work in case of one cultural factor- ‘religion’. They say this because religion is not limited within the boundary of a particular country. It transcends the boundaries of provinces (Afifunddin & Siti-Nabiha, 2010). Society tends to assume that standards are rigid. But the fact is, accounting systems have been greatly influenced by religious issues. Accounting harmonization is chiefly concerned with bringing all the existing practices into harmony with IAS (International Accounting Standards). IAS are mainly based on Western Standards. So, it accommodates Christian traditions and values but does not accommodate other religious. Islamic cultures which are found in many countries have failed to adopt ‘Western’ accounting practices. The researches throw light on how issues of literature occupied a little space in the accounting literature. The work mainly deals with the interaction of business activity and the Islam needs. The Western accounting practices are not adopted in the Islamic framework because the Western accounting practices are highly incompatible with the Islamic principles (Leuz, 2003). Most of the Western accounting practices draw upon assumptions which are in conflict with the Islamic beliefs and on the other hand, Islamic laws go with the the conduct of business in such a manner which is not allowed in the Anglo-American accounting practice(Askary et al. 2008). The main belief of Islam is that the Muslims do not acquire property for themselves but for Allah. The Islamic faith emphasises the obligations of the individual to society. Individual rights are not focused in this religion. On the other side, in Western Accounting System, the attention is given to the individual and not to the society. So naturally, the Muslim community need accounting information which emphasises on social accountability and on the narrow personal accountability. To follow Muslim law is essential for every Muslim and it builds the foundation for all Islamic financial institutions. There are three ‘Sharia’ rules in Islam- 1) strict prohibitions on involvement with industries which are supposed to be sinful like gambling, alcohol, pig products etc. 2) the second law is a ban on ‘riba’ or interest. 3) And the third law is associated with ‘gharar’ or risk-taking or any kind of uncertainty. The ban on interest in Islam is based on Allah’s and Prophet Muhammad’s warning against interest and debt. It is prohibited as it is believed in Islam that the opportunity for the borrower to invest money and earn a profit introduces an unacceptable speculative element into a business transaction. This ban has important implications for processes aimed at the international harmonisation of accounting standards. As harmonisation is necessary for implementation of standard Western accounting procedures in which calculation of interest is highly essential. Islamic law is not only in conflict with the Western accounting system. It needs some specific information from accounting systems which Western accounting does not provide. Some examples will help to understand. Muslims pay ‘Zakah’ according to the law of Islam. It is a way of purification of sins for Muslims. So it has a greater implication than just paying a tax. Most of the asset information in Western balance sheets is not compatible with Islamic law as the calculation of ‘Zakah’ is very complex. The demands of calculating ‘Zakah’ cannot be met through the Western accounting (Onyebuchi, 2011, p.40). So, one can go without saying that religion has a major impact on the accounting system chosen. Religion is a key factor which determines the strategy of business and the principle of mankind related to business. The differences in the existing accounting systems cannot be united easily. If the Western accounting systems which are based on Christian religious values are get implemented within the accounting systems of Islamic countries, they will not work properly there; because religion is rooted in the mindset of human beings, so, external rules cannot change the internal values and beliefs. So, it is very important for the accounting standard setters to remember these issues; then only it will work irrespective of countries, religious values and beliefs. The accounting systems vary country to country. There are many reasons behind the variation of accounting systems. Many theories are found which suggest the possible reasons for this; but there is no single theory accepted unanimously. Mainly owing to the differences of practices of culture and religion, various accounting system exist in various countries. In a country, most of the institutions like business, education, government, laws and many other organizations have been impacted since ancient times. Like the earlier mentioned institutions, accounting is also perceived as a social institution. This institution was established by most cultures to make the economic transactions easier. As a part of culture, it contributes in the evolution of a culture. In developing countries, most accounting systems are identical as they have been borrowed from the West through a variety of channels: – colonialism, aid and loan agencies of the West, Western multinational companies etc. The two major religions to influence the existing accounting systems are Christianity and Islam. These two religions differ to a great extent. So the accounting systems which they beget differ naturally. The basic conceptions of money and accounting systems in traditional Christian and Islam religion are totally opposite. While in the traditional Christianity, money and accounting systems were regarded as profane and worldly affair, in Islam, every single aspect of human life is associated to God including the accounting systems. At this period of globalisation, it is very much difficult in international trade to go with various accounting systems; to overcome this problem now a day many countries are in the view to introduce a standard accounting systems. IFRS are designed as a common language for business affairs to make the company accounts understandable irrespective of countries. The original name for IFRS was IAS. This system began to reconcile the different accounting systems in the European Union but later this became attractive worldwide.